The versatile Green bean is a staple of most gardens and itís popularity is well deserved. Select a variety that suits your gardening style. If you are in the garden every day, and like green beans often, try a French filet type bean. They must be harvested young, which means frequent picking. For a tender green bean that tastes great even when quite large, plant the old standby, Tenderette. It also freezes very well. These are both lush beans. Pole beans can be grown on saplings lashed to teepees, or inter planted with corn for living trellises. This type of bean is easier to harvest,and is attractive in the garden. 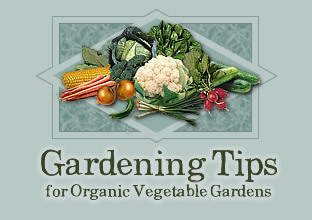 Plant seeds 4" apart in good garden soil once the soil is warm and the weather has settled. Few seedlings can match beans for the sheer power to enter the above-ground world. Thin plants, leaving the most vigorous ones standing 8-10 inches apart. If you have selected bush beans, make the rows about 18" apart. Early planting may be troubled by Mexican bean Beetles. This copper colored spotted adults and their soft bodied, bright yellow larvae can easily be controlled by hand picking, so long as you never procrastinate picking them off or shaking them into the bag. The danger of beetle infestation is much reduced when planting is done after the Summer Solstice June 21. Like all garden plants, beans need adequate water at flowering at flowering time to produce their best crop. Mulching young plants to control weeds until they can shade them out, may make watering unnecessary, but when in doubt, soak we'll at least once during flowering. If you plan to can or freeze your crop, time your main flowering to allow your planting to allow for the heavy load of tomato processing. If you can irrigate the bed, early July can be a good time for main crop planting. This may enable you to utilize a bed that has just finished producing a spring crop, making more efficient use of your garden space.